Dennis Crowley loves soccer supporter culture. With two forty-five minute halves, and a twenty-minute half time, the game is really exciting to watch. There’s often a supporter group. “They’ll have songs and chants, make big flags, and bang drums. It’s almost like a parade,” he says. “When you see it work, it’s awesome.” The founder of Foursquare (the app that brings you insider reviews on hidden treasures in the community), Crowley says you don’t have to be a soccer fan to enjoy the matches. He decided to help that energy find an outlet locally by starting a semi-professional team with players from all over the Hudson Valley. With pivotal support from the Hudson Valley chapter of the American Outlaws (a national soccer supporter group), this weekend, the stands of Dietz Stadium will fill as Stockade Football Club (Stockade FC), which competes in the 4th division of the U.S. Soccer Pyramid, plays its first two home games of the 2016 season. One goal is for Stockade FC to qualify for the annual U.S. Open Cup by 2020. 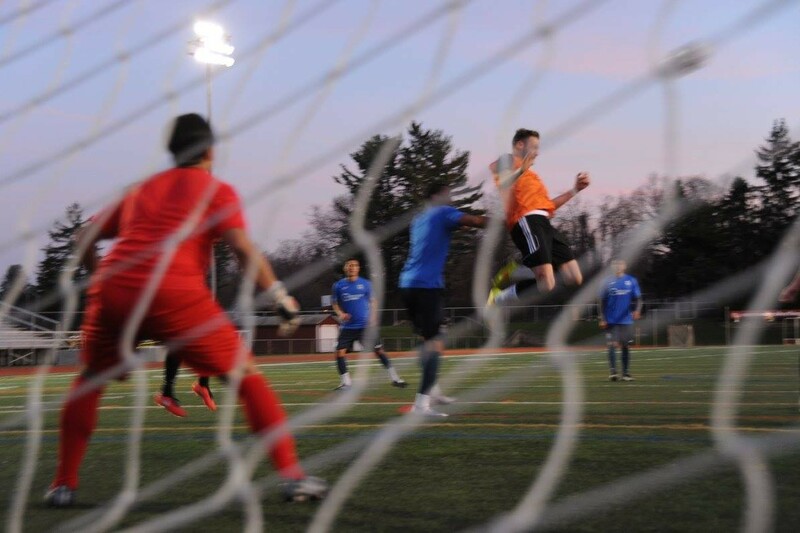 With a short league schedule of just May, June, and July, that goal is ambitious, but it’s not Stockade FC's only one. They want to create opportunity for great soccer players to continue in the sport; make it easier for diehard fans to catch a semi-professional match; and inspire more clubs. It’s all part of the idea that additional infrastructure at the lower levels could help grow soccer in the U.S.
Stockade Football Club’s first two home games at Dietz Stadium, 170 North Front Street in Kingston: May 21st, 2-4p, and May 22nd, 4-6p; $8 adults, $5 kids 12 and under (or just $2 if wearing anything soccer related). Season Tickets ($40) and Stockade FC t-shirts, hats, and other supporter paraphernalia available at the gate. Concessions available. Check their Facebook page for any last-minute updates. See the full Stockade FC match schedule and buy advance tickets on their website.